NITIE Mumbai Admissions 2018 - Application, Fee, Placemnets etc. NITIE Mumbai Admissions 2018 application process is started on 6 November 2017. NITIE Mumbai PGDIM & PGDISEM Admissions 2018 will be done on the basis of candidate’s CAT score followed by GD and PI. Aspiring candidates can apply for the NITIE Mumbai Admission through online mode only. About NITIE Mumbai: NITIE Mumbai is an autonomous body under Ministry of HRD, Govt. of India. The institute was established by the government of India with a dedication to helping Indian businesses to make their presence felt global. The candidates who have applied for Management program in NITIE can participate in mock GD and PI conducted by NITIE faculty. The Mock GD and PI will be conducted in the first week of February 2018. Post Graduate Diploma in Industrial Management (PGDIM). Post Graduate Diploma in Industrial Safety and Environmental Management (PGDISEM). Educational qualification: The candidates having a full-time Engineering or technology degree in any branch of a government recognized university or college or institute. The candidate must have secured a minimum 60% aggregate marks (55% for SC/ST/PWD candidates). Such candidates will have to submit their final year mark-sheet and provisional certificate, latest by 30 September 2018. Qualifying Exam: The candidates seeking admission to PGDIM or PGDISEM courses at NITIE Mumbai must have a good score in next CAT examination. The candidates must appear in CAT exam (conducted by the IIMs) which is scheduled to be held in the month December 2017. PGDISEM Eligibility criteria for the Sponsored Candidates: The candidates must be from reputed Industrial Organization/Academic Institution and must have aggregate 60% marks or equivalent in Engineering/Technology. Sponsored candidates are not required to produce CAT score, however, they will have to appear written test and interview conducted by NITIE. Work Experience: Two years of full-time work experience as on 15 June 2017.
International Candidates: Foreign candidates are also eligible for PGDIM and PGDISEM admissions. Details are given towards the end of the page. NITIE Mumbai PGDIM & PGDISEM application process has started, the candidates can apply only through ONLINE mode for both the programs. A candidate can apply for both the programs through single application indicating his/her preferences and by paying the applicable application fees. Candidates can click on the following link to fill the NITIE Mumbai Application Form. The candidates have to submit the application form online only. There is no need to send the application form or any other document to the university, however, the candidates are advised to take a printout of the application form for future reference. The NITIE Mumbai final result for the PGDIM & PGDISEM course has been declared and the candidates can check the result by following the link given below. 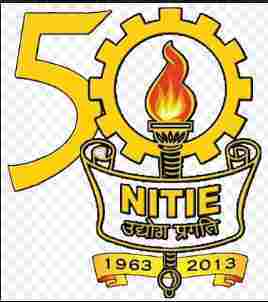 The NITIE Mumbai institute will then start the selection process for the mentioned courses. The candidates are suggested to furnish correct details while checking the result. Relevant work experience (If any). The candidates will be first shortlisted for PGDIM and PGDISEM admissions on the basis of CAT merit list. The selected candidates will then be called for the Group Discussion (GD) and Personal Interview (PI) for the final selection. GD & PI Venue: The GD & PI will be conducted at NITIE Mumbai campus. It is to be noted that the candidate has to carry two copies of the duly filled application form during Group Discussion and Personal Interview. International candidates are Indian nationals or foreign nationals. The candidate should have been (expected to be) resident outside India for a period of 18 months or more during preceding two years and be outside India during the CAT examination window. At the time of application, all candidates will have to submit an SOP (Statement of purpose) and two LORs (Letters of recommendations) along with GMAT score and TOEFL / IELTS score (Foreign candidates only) for all the above Programmes. They can apply in any one of the following four categories as an international candidate. SAARC country nationals and Children of Indian workers in Gulf countries. International candidate should possess a valid passport or travel document of residing outside India and not in a position to take up the Common Admission Test (CAT) conducted by Indian Institute of Management at various centers in India. 15% seats in each program (in supernumerary quota) are reserved for international students. Candidates should have full-time Engineering/Technology graduation in any branch with aggregate 60% marks and a valid GMAT score. Final year Engineering/Technology candidates can also apply if they fulfill the other eligibility criteria. Such students will have to submit the result of the qualifying exam latest by 30 September 2018. Foreign candidate should have a valid Test of English as a Foreign Language (TOEFL) score or The International English Language Testing Service (IELTS) score. TOEFL/ IELTS test scores more than two years old will not be accepted for consideration. 15% seats of the approved intake (in supernumerary quota) in both the programs will be reserved for international students.